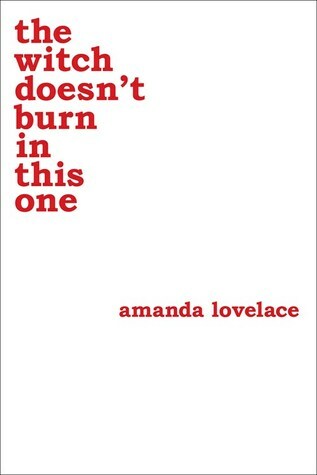 I enjoyed Amanda Lovelace’s previous poetry bundle before. I think The Witch doesn’t Burn in this One is not as strong, but it is still well written. I give The Witch doesn’t Burn in this One by Amanda Lovelace four out of five hearts because it was again very well written. The poems are about feminism in a pleasant way. She writes about all the topics people don’t talk about because there is a taboo on them, some women might talk about it, but only hesitantly. Things like menstruation, transphobia, body-shaming etc. I think her view on these subjects is interesting. I think the content of her poems is important that we break out of this taboo and just talk about things the way they are. The negative points I could find in this poetry bundle was the repetition of word and/or sentences. It broke me out of my reading and it just rubs me the wrong way. Amanda’s writing sometimes sounds a lot like a teenager on a rant. Sometimes it is enjoyable, but mostly it just feels dated. Overall I think The Witch doesn’t Burn in this One is a great bundle of poetry if you are interested in this. If you can look beyond the two things I didn’t like about it, it might be a really great read for anyone. This entry was posted in Book Review and tagged Book Review, Drama, Nonfiction, Poetry, Romance. Bookmark the permalink.